The twelve Altadorian Constellations have long been a source of awe and wonder for countless citizens around the Neopian globe, but not many know their true significance. It may surprise you to learn that each constellation is based around an ancient Altadorian legend which, over the centuries, have evolved into character archetypes. Each constellation corresponds to a month of the Neopian calendar, and some believe that an individual’s traits are dependent on the constellation they were born under. Whether you’re a historian of Altadorian myth, a superstitious star-reader, or just someone looking for an entertaining tidbit, read on to learn more about the qualities associated with each group of stars. When you’re done, you can decide for yourself what to believe. It’s a common misconception that Neopets born under the constellation of the Sleeper are lazy. This is not at all the case, simply a grave misunderstanding. The truth is that the Sleeper pet’s greatest strength is their wisdom. This pet doesn’t waste time and energy on a lost cause; instead, they pick their battles carefully and apply resources to their best advantage, which almost always results in success. This trait can be applied to many diverse endeavors, including but not limited to games and competitions, social activities, and Neopoint-related goals. The drawback of being a Sleeper is that these pets can often find themselves hyper-focused on the big picture to the point that they don’t make time to appreciate the details. Those around them may find that they are excellent at brainstorming large-scale concepts, but less able at planning and execution. As a result of these qualities, Sleeper pets get along with others who are born under the Farmer, the Gatherer, or the Gladiator constellations. However, they are likely to come into conflict with pets born the Collector or the Thief. If you’re a Sleeper looking for a good way to spend your birthday in the Month of Sleeping, you should consider using your special day to get a productive start on the New Year by trying for some game trophies. Pets born under The First to Rise constellation have an entirely different set of misconceptions projected upon them. These pets may very well be active, energetic, and outgoing, but they don’t have to be. What’s more certain is that they are dedicated to pursuing their goals with a glowing passion. They are also known for defending their beliefs with unshakable faith and confidence. These traits can often be infections, and pets born under this constellation are predisposed to be leaders in both official and unofficial capacities. There is, of course, an obvious downside to these traits. Pets born under the First to Rise constellation may defend their beliefs to a fault. You may notice that they are unwilling to consider contrary viewpoints and probably don’t accept criticism well. This can pose difficulties for those around them as they vigorously pursue their goals. The First to Rise tend to become fast friends with pets who relate to the Dancer, the Farmer, or the Gladiator. Similarly, they ought to steer clear of anyone who aligns with the Collector or the Gatherer. Many consider the Dancer to be a much more straightforward archetype to interpret, and indeed, in many ways it is. Pets born under this constellation are often gifted with physical grace and beauty, although that is not the full extent of their qualities. They also carry a marked warmth and compassion, and an emotional grace that is often underappreciated. These pets make for the best of friends and do well in careers centered around helping others. However, there is always the potential for these deeply emotional pets to be taken advantage of. They should be careful to surround themselves with genuine, respectful friends who will not exploit their generous and compassionate attitude. It is important for pets born under the Dancer to remember that to be soft does not necessarily mean to be weak. Dancer pets can mix politely with almost any pet, but they particularly get along with those born under the First to Rise or the Dreamer constellations. They rarely outright clash with anyone, but are typically happier if they avoid those born under the Protector, the Gladiator, or the Farmer. These loving pets may enjoy spending their birthday outdoors, participating in an Illusen Day festival or celebration. The Farmer is a cornerstone of any community, providing not only sustenance, but also strength and humility. Pets who identify with this constellation tend to have a great strength in foresight. They excel in setting and achieving long-term goals because they know the value of making a plan and sticking to it. 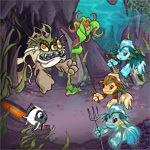 These pets are generous with their time and their Neopoints, and respected by most. Because pets born in the Month of Eating are so hardworking and diligent, they can also end up being perfectionists who don’t know when to stop and be satisfied with their work. Their humility leads them to believe that they can always be better, which is usually true, but this mindset can often prevent them from branching out beyond only one specialty that they know extremely well. Pets who identify with the Farmer constellation are closely related to the Sleeper and the First to Rise, and these three archetypes almost always form lasting bonds. The same cannot be said, unfortunately, for Farmers and Dancers or Collectors. Any pet who is as generous as the Farmer might like to spend their birthday indulging their friends, especially if that day falls on the oft-dreaded April Fools’ Day. Well, there you have it – your first peek into the encouragements and warnings the stars have to share with those of us down here on Neopia. Do you believe them? Or is it just a bunch of codswallop? If you didn’t see your own corresponding constellation above, then stay tuned for the following two volumes of this treatise, where you will learn more about the remaining constellations: the Hunter, the Dreamer, the Wave, the Thief, the Gatherer, the Collector, the Protector, and the Gladiator.